Design, installation and implementation in all processes, from receipt of raw materials to the final product. Wide range of automation: Manual operations to fully controlled processes. Turnkey projects, where the customer will have ongoing monitoring at each step. Since the beginning of the study of a project to its implementation. Seppelec support team service, for the implementation of its process equipment. 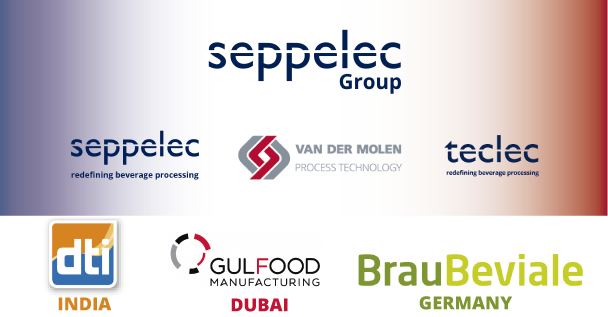 Seppelec presents Van Der Molen as a new member of the Group at the Gulfood Manufacturing, Dti India and BrauBeviale 2018 trade fairs. First Seppelec-Van der Molen meeting in Madrid (Spain). According to regulation currently in force concerning data protection (LOPD), as well as concerning information society services and electronic commerce (LSSI-EC), the user accepts that the data provided through this website or in its default the contact data that may appear in the e-mails sent by you, can be incorporated into files owned by SEPPELEC, S.L. with the object of facilitating the requested services, as well as, being transferred to third parties for the strict and exclusive rendering of the mentioned services. You expressly authorise SEPPELEC, S.L. 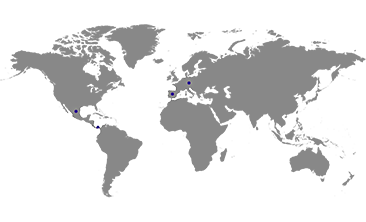 to send commercial communications via ordinary and/or electronic mail, as well as to foreseeable telephone contact in order to offer the mentioned services. The recompiled contact data will form part of a file denominated "POTENTIAL" with registry number in the SPANISH DATA PROTECTION AGENCY No 2091050931, and which is owned by SEPPELEC, S.L. with CIF/DNI No B-83040212. The objective of the mentioned file, among others, is to attend to the enquiries from partners / visitors / clients and those requesting information from the Website, as well as market prospection and publicity of our services. You freely include your data in the mentioned form to contact us so this way we can attend to your enquiry and you give your consent so that in the future you will receive publicity of the services of our company / activity, nevertheless this right can be revoked whenever you consider opportune. SEPPELEC, S.L. guarantees your rights of opposition, access, cancellation and rectification. To exercise these rights, you must write to SEPPELEC, S.L. C/ Lozoya 6 - building 20- 28925 Alcorcón (MADRID) providing credible identification to verify your identity and to not risk your privacy or confidentiality. Your data will not be transferred to any third party; this information will be treated by SEPPELEC, S.L. to attend to your enquiry and for market prospection and publicity of our services. Nevertheless, you may at any time revoke this consent. Security measures according to Royal Decree 949/1999 of 11th June. SEPPELEC, S.L. notifies you that it fulfils the measures imposed on the owners of the files by the mentioned Regulation. SEPPELEC, S.L. is aware of the importance of confidentiality and privacy of the data in question, as well as of the right to honour and intimacy of the visitors, therefore SEPPELEC, S.L. guarantees the absolute reservation of the information of its visitors and that their data is only treated for the aims mentioned in this legal waiver. LSSI-EC (Law 34/2002, of 11 July, concerning Information Society Services and Electronic Commerce.